This morning it was 8:45. I was sitting at our table after breakfast having a few minutes with my Bible, journal, devotional book and a cup of coffee while the children played. When I went to open my devotional book, I looked at the calendar to check the date. Uh oh! I realized that the physiotherapist was coming in 45 minutes! I had completely forgotten. I am not a morning person and I also like to have my home in order when visitors come. So on other days this would have made me panic. But as I looked around this morning, I realized I could easily be ready by 9:30. 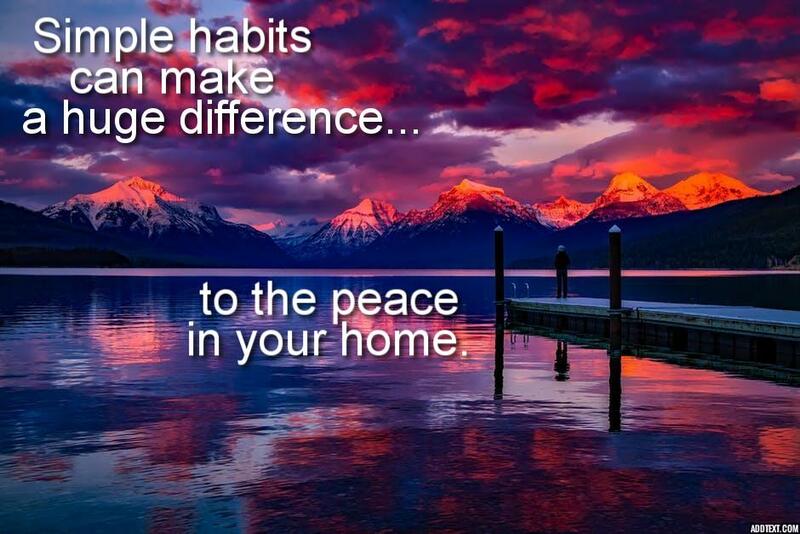 There are some habits I have tried to make in my life lately which has helped my mornings go much smoother. I would like to share them with you, in case you find mornings difficult too. Keep in mind that I am not pregnant, I don't have a newborn, all my children are good sleepers and it is the summer holidays! In another words, it might be different if I was in survival mode! So don't feel overwhelmed if that is you! But in any case, little habits can make a big difference. I try to do number 4-8 before breakfast. So here goes. 1) Have your house tidy before you go to bed. It is so nice to wake up to a tidy house even if it doesn't last long! 2) Have your day's menu planned beforehand. I try to plan a weeks menu at a time, so I am not trying to figure out what to have for dinner every morning. I much rather prefer waking up naturally, but my morning goes better if I wake up by a certain time with my alarm clock. Then I don't start the day running late. Since it is holidays, I can wake up a bit later. But I need to plan it so I still get enough sleep so I'm not tired all day. 4)Spend a few minutes in God's Word. I heard someone say recently "Read the Bible before you read any other book". So I have tried to make it a habit to read the Bible for a few minutes before I get out of bed. I like the Daily Light best as it's quick and easy! You feel more ready for the day when you are dressed. Also if someone turns up unexpectedly, you will not be embarrassed! Couriers sometimes come to our house pretty early in the morning. It only takes a few minutes, but it makes a huge difference to your room. I never feel like doing it, but I'm always glad when it's done. 7) Put a load of washing on. 8) Fill the sink up with hot soapy water and put dirty dishes in there straight away to soak. 9) Get your children in the habit of taking care of their own rooms each morning. That's a few less rooms to have to tidy every morning if they can do it themselves. I've found job charts work really well for my children. Each morning they have to get dressed, open their curtains, make their bed, have their hair done, tidy their room and clean their teeth. When they have gotten to the end of their charts, they get a small reward. They also have the same type jobs in the evening before bed.